The SV-100 features fully variable speed, allowing you to utilize its 110lbs of pulling power with exacting precision. 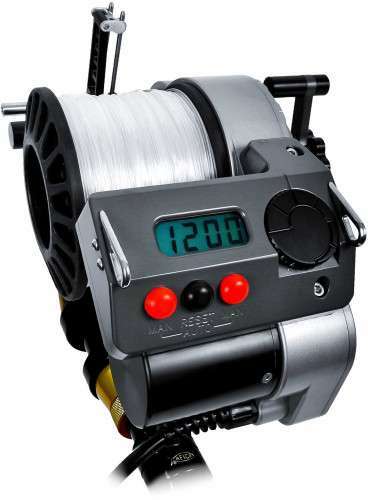 The Lindgren-Pitman LP-SV-1200-GFN Commercial Electric Reel features fully variable speed, whereas previous models were limited to a simple high and low speed setting. The SV-1200 is 25% faster on the highest speed setting, and can be slowed to a crawl if necessary. The SV-1200 provides 110lbs of pulling power at all speeds. Call or visit our retail store today!